Cipla Ltd and Aurobindo Pharma Ltd have agreed to acquire some generic drugs from Teva Pharmaceutical Industries Ltd in the US, as the Indian generic drugmakers seek to strengthen their presence in the world’s largest pharmaceutical market. Mumbai-headquartered Cipla will acquire three products and Hyderabad-based Aurobindo will purchase one, according to a statement by the US Federal Trade Commission (FTC). The products are part of the portfolio that Israel’s Teva is selling to complete its $40.5 billion acquisition of Allergan Plc, it said. Cipla and Aurobindo did not immediately respond to requests for comment. The two companies join Dr. Reddy Laboratories Ltd and Zydus Cadila in acquiring drugs from Teva. On June 11, Dr Reddy’s Laboratories said that it had agreed to acquire eight generics drugs from Teva and Allergan for $350 million. These included new abbreviated new drug applications (ANDA) that were pending approval. The combined sales of the branded versions of the products in the US is around $3.5 billion, Dr Reddy’s said at the time. On June 20, Cadila Healthcare said it had acquired two of Teva’s two ANDAs through wholly owned subsidiary Zydus Worldwide DMCC to strengthen its US portfolio. The total market size of the two ANDAs, which includes a transdermal patch still in the pipeline, is estimated to be around $200 million. Indian pharmaceutical companies have been aggressively acquiring assets, especially in the US. In September last year, Cipla agreed to acquire US-based InvaGen Pharmaceuticals Inc. and Exelan Pharmaceuticals Inc for $550 million to increase revenue and introduce new products for oncology and diabetes. In May this year, Dr. Reddy's said it had acquired a portfolio of six over-the-counter drug brands from Ducere Pharma to enter the branded consumer health business in the US. 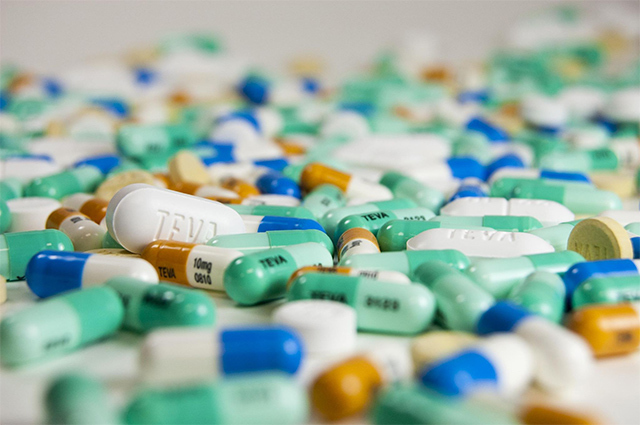 Meanwhile, Teva has agreed to divest a total of 79 products to 11 rival pharmaceutical companies within 10 days of the completion of its acquisition of Allergan’s generics business, according to the FTC statement. The other firms that acquired some Teva products include Mayne Pharma Group, Impax Laboratories, Sagent Pharmaceuticals, Mikah Pharma, Perrigo Pharma International, Prasco and 3M Company, the FTC said. The divested products include anesthetics, antibiotics, weight loss drugs and oral contraceptives. These also included treatments for a wide variety of diseases and conditions, including allergies, arthritis, cancers, diabetes, high blood pressure, high cholesterol, mental illnesses, opioid dependence, pain, Parkinson’s disease, and respiratory, skin and sleep disorders, the FTC said.